It is so important to fully comply with ATEX and DSEAR regulations, and meet the manufacturers instructions with regards to maintaining safety equipment. 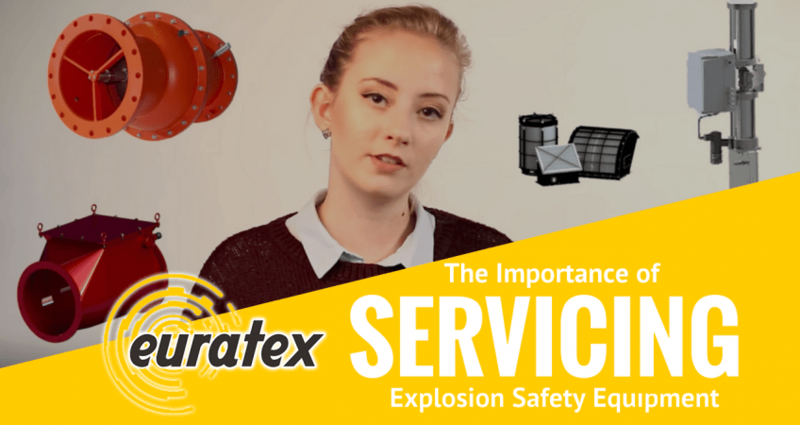 Most safety systems require servicing once a year at the least. If you do not comply with these regulations, you risk more than just damaging equipment. You are potentially putting lives at risk, and you could be breaking the law. Our engineers are fully trained and certified to maintain explosion safety systems across a broad range of types and manufacturers. Arranging a service is easy with Euratex. We will supply you with a quotation and sample service schedule. From there, we will send our engineer to your site once an appointment date and time has been arranged with you. To find out more about how we can help you, watch the video below. Theres no time to waste – send us a message now to begin the process of ensuring your safety systems are serviced and inspected.